Elegant holiday home with dependence and heated pool, Jacuzzi and sunbathing area with stunning sea views, about 5.5 km from Sanremo. Elegant holiday home with dependence and heated pool, Jacuzzi and sunbathing area with stunning sea views, about 5.5 km from Sanremo. The main house consists of a kitchen, living room with fireplace and toilet on the ground floor. On the first floor are four bedrooms (two of which are connected internally) and two bathrooms. From one room you have access to the equipped outdoor area, ideal for a romantic breakfast overlooking the sea. 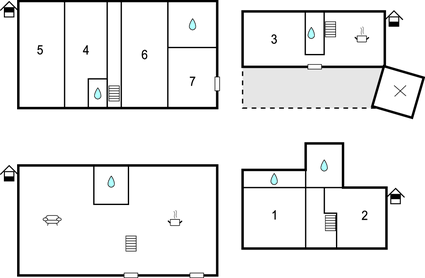 The dependence is on two floors and comprises a kitchen, bedroom and bathroom on the ground floor. On the first floor there are two bedrooms with private bathrooms. The fully fenced outdoor area is equipped for outdoor dining (part of which is a veranda). At your disposal are a barbecue, pizza oven, solar panel lounges to charge your mobile phone, jacuzzi, children's play area, two fitness equipment under a covered part in the garden, volleyball / badminton net. Here you can sunbathe comfortably while enjoying the view over the sea. The location is ideal to enjoy the beach life around Sanremo, the famous city of flowers, or to visit the nearby Côte d 'Azur on a day trip. Near the French border, you can also admire the Hanbury Botanical Garden and the area of the Balzi Rossi (Red Rocks). Cycling enthusiasts will find in Sanremo the longest coastal and pedestrian path in Europe, with its 20 km long route leading to the sandy beaches of San Lorenzo al Mare. There are downhill and motocross slopes nearby, as well as the CAI trails of Monte Bignone for trekking and Nordic walking lovers. On request, the following services are possible: catering, cooking classes; American Grill, Pizza and Pesto Course; Sailboat trips to discover the beautiful coves of the Riviera dei Fiori and the Côte d'Azur. On site, the landlord will arrange with you a day for the pool cleaning. Arrival is possible between 5 pm - 8 pm. This solidly constructed villa was originally built in 1900 and refurbished in 2007. The agent has rated it as a five star property so it is one of their best villas - tastefully furnished and fully equipped. It is also great value for money. 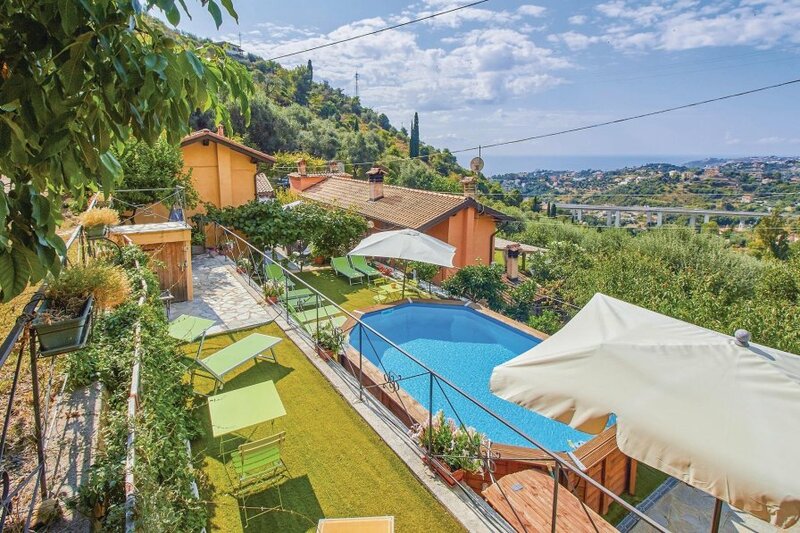 This villa has a swimming pool and sea view; it is also only 5.5km from Sanremo. It is set in a good location, 5km away from a sandy beach. There's also a restaurant 2km away.